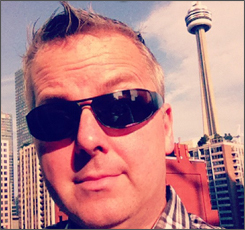 Being a hip urban social media superstar can be exhausting. You’re out every night, enjoying fabulous meals in fabulous restaurants, sipping on designer cocktails crafted by mixologists with ironic mustaches, and then dancing the night away to the latest bluegrass death metal band that all the indie blogs are raving about. Or, at least that’s how I remember it used to be. Thanks to CouchCachet, now anyone can have that life, and let everyone else know about it through social media. 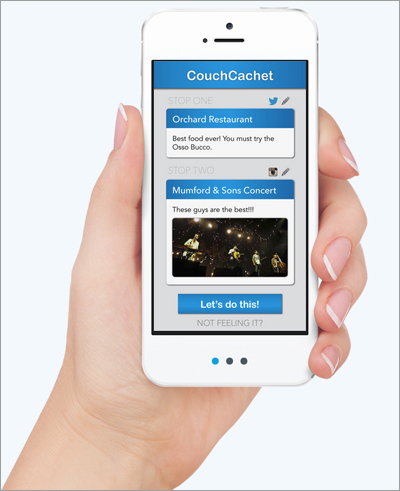 First connect the app to your Foursquare profile, and on Friday night once you’ve ‘checked-in’ to a private residence (probably your own), CouchCachet will send you an itinerary of your awesome evening, and your night of fake-adventure is ready to begin. CouchCachet will even find Instagram photos from “real” chic folk, post them on your behalf, then confirm your virtual shenanigans to Twitter. The app avoids awkward situations by avoiding a to a location where your other social media friends are at. CouchCachet came about at a Foursquare Hackathon held earlier this year at locations around the world to create useful, clever and fun apps that utilize the Foursquare API. The NYC team of Brian Fountain, Justin Isaf, Harlie Levine, and Christopher Kennedy leveraged the Mashery API to create the app. So, the next time you see me check-in on Foursquare at an impossibly-hip warehouse party, don’t be a hater. I just might be home curled up on the couch with the cats, drinking hot cocoa and re-watching Downton Abbey.